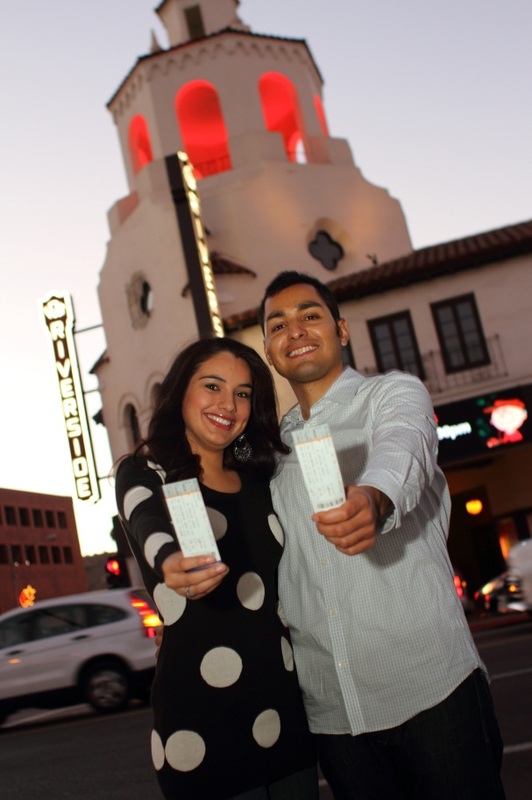 There are countless ways to enjoy entertainment and liven up the nightlife in Riverside. Whether you are here on business, celebrating with friends, or vacationing with the family, this city offers something for every occasion. Stroll down bustling, pedestrian-friendly Main Street and take in the beautifully landscaped, architecturally rich Downtown. Explore the surrounding streets and discover even more fun at local sports bars, cafés, specialty coffee shops, and eateries. Experience some of the region’s most exciting events, including Broadway shows, film festivals, and music concerts at the newly built multi-purpose Fox Entertainment Plaza-Live Nation. As part of the Plaza, Riverside’s historic Fox Performing Arts Center has been home to some of cinema’s most iconic moments since 1929, which have included performances by Bing Crosby and Judy Garland to the world premiere of Gone with the Wind. Be sure to stop by The Box, a black box theater space built just for intimate concerts and close-up comedy show. Attend an event at the Showcase. No matter the venue, you are sure to find blockbuster performances at the Fox Entertainment Plaza. Spice up your nightlife at one of Riverside’s local night clubs and enjoy some drinks and dancing with friends. Choose from a variety of lounges and clubs that offer their own exclusive experience and distinct cultural flare. For the sports enthusiast, root for the home team with tickets to one of four local collegiate venues in Riverside. Catch the competitive spirit at the brand new, world-class Riverside Aquatics Complex with California’s first all-deep competition pool. This facility has become the preferred venue for competitive swim, dive, synchronized swimming, and water polo. It even was home to the hit celebrity television show, Splash! From concerts, performing arts, and competitive sports to bars, pubs, and night clubs, you will find plenty of ways to enjoy your stay and make memorable moments in Riverside. Looking to exercise your right to be active? There is no shortage of things to do in Riverside. Play a round of golf at the Oak Quarry Golf Club- a nationally recognized championship course, or try some tennis at Andulka Park Tennis Center-the areas largest tennis complex. Go skateboarding at Bobby Bonds Skate Park on 14,000 square feet of half-pipe, or enjoying the multi-purpose fields of Arlington Heights Sports Park. With over 52 renowned parks, a brand new Riverside Aquatics Complex, and the historic Mount Rubidoux, you can run, swim, bike, climb, and everything in between. One thing is for sure, there are many ways to enjoy your day in Riverside. See our Business Directory for a full listing Movie Theaters, venues offering live performances, nightlife offerings and more.